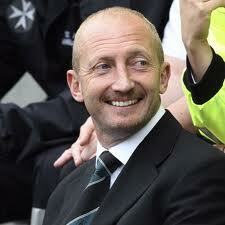 Ian Holloway – Every Football fan dream manager. Blackpool’s outspoken boss has never been short on voicing his opinions. He says what others managers won’t. Below we have put together the best of Mr Holloway expressing his opinions, what a man! 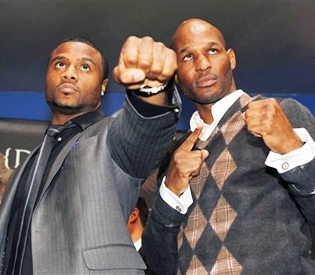 Bernard Hopkins missed a chance to become the oldest boxer to hold a major world title after his fight with Canadian Jean Pascal on Saturday night was declared a draw. Hopkins (right, with Pascal) suffered his first two knockdowns in 16 years after Pascal had him on the canvas in the first and third rounds. However, having picked himself up Hopkins regained momentum and put Pascal down on the eleventh round. Despite throwing more punches than Pascal, Hopkins was unable to lift the WBC and IBO light heavyweight titles from the Canadian. Hopkins had edged a close contest but The Executioner was shocked when the fight was called a draw. Bernard Hopkins will be 46 on January 15 and the American was hoping to become the oldest World Champion, a feat held by George Foreman who at 45 years and 10 months knocked out Michael Moorer in 1994. “I believe I won the fight,” said Pascal. “It wasn’t my best fight, but Bernard fights ugly and dirty. He’s a tough guy to box. On fighting outside the States, Hopkins said; “One reason fighters from the States don’t like fighting outside the country is stuff like this. I know I won the fight. “This was sure enough robbery,” he said. “And this one hurts the sport. I come to Canada and face a 28-year-old guy and I get a draw, at 45 years old? You saw a young guy running from an old grandpa! “The 12th round was vicious. He looked to be tired from the sixth round. He was gasping. Tottenham Manager Harry Redknapp has all but ruled himself out of the running for the England manager’s job when current boss Fabio Capello steps down after Euro 2012. Redknapp has insisted that he would be happy to finish off his career at Tottenham, with Spurs having enjoyed success with Harry at the helm, qualifying for UEFA Champions League football at White Hart Lane a feat that had never been achieved by them previously. 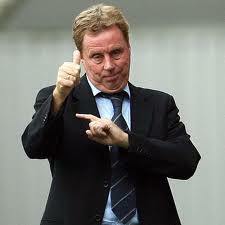 Harry says he would be content to stay at Tottenham for the rest of his career. “Of course I would. For sure, only I don’t think that far ahead,” he said. “In this game you just never know. Yeah, it’s gone great but I was enjoying my life before and out of the blue suddenly you get a phone call (from Tottenham). On Leaving Portsmouth, Harry said; “It never entered my mind that I would leave Portsmouth, I was enjoying it there and suddenly you get an offer to come here. “Whoever thought Sam (Allardyce) would get the sack. It can turn so quickly, half a dozen games and suddenly you don’t know what you’re doing. England was skittled on the fourth day of the Third Test in Perth. 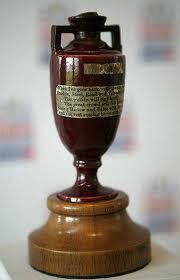 The Aussies wasted little time in levelling the series one a piece. Mitchell Johnson was recalled to the team after being dropped in the last test. What a decision it proved to be, with Johnson blowing England’s batting order to pieces. England were unable to sustain the constant threat from fast bowlers Ryan Harris (6-47) and Mitchell Johnson (3-44) as Australia won by a massive 267 runs. He added, wistfully, “We were in a great position after bowling them out for 268 and then being 70-odd for none in reply. The batting in both innings was sub-par. But we have to retain a sense of perspective. This result doesn’t make us a bad team overnight. Amir Khan has insisted that he is not ready to fight Floyd Mayweather just yet. The WBA World Light Welterweight Champion would like one more title defence before facing Floyd and feels he doesn’t have enough experience to face the American. Khan successfully defended his title against Marcos Maidana with a thrilling point’s victory in Las Vegas last week and has said he wants to unify the division. Khan told BBC Radio: “It’s a possibility in the future. A lot of people say I want to fight Mayweather next. “I want to fight Mayweather in 12 months. It gives me time to mature and to get more experience. Khan also stated he would like the fight on home soil. “Before the end of 2011 or even in England at the beginning of 2012,” he added. England go into the third Test match tomorrow at Perth in hope of wrapping of the series this side of Christmas, an England win will see them retain the Ashes in Australia for the first time since 1985. While confidence is high following their triumphant victory in the last match at Adelaide, the tourists know Australia will be looking for a better performance. Australia will make some changes for the third Test and it is thought that both Ben Hilfenhaus and Mitchell Johnson will return to the side. Both fast bowlers missed the last test and this wicket will suit their style. Australia insist that they haven’t decided on the final XI yet. “We haven’t got a team yet,” said Ponting on the eve of the match. “(It’s) still particularly grassy and I’ve had a good chat to Cameron (curator Cameron Sutherland) today about the wicket. “It’s different grass than there’s been on the wicket before, so we’ve got a lot of things that we’ve got to think about yet before we finalise it. England will need to make just one change to side after Stuart Broad was ruled out for the rest of the tour following a stomach injury he received during in the last Test. Chris Tremlett, Tim Bresnan and Ajmal Shahzad are all vying for Broad’s position, but it is thought that England will go with Chris Tremlett. “All three bring different skills to the party, and we have to work out which one is going to be best for Perth and onwards,” Strauss admitted. “The way we’ve got to look at it is which bowler will help us take 20 wickets. “When you’re only playing four bowlers, they’ve got to be able to do their primary job. 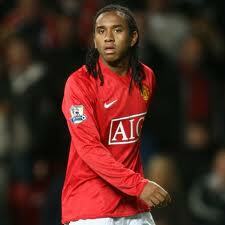 Manchester United’s Brazilian midfielder Anderson has signed a extension to his current deal, Anderson is now signed up to United until June 2015, Anderson arrived at Old Trafford in the summer of 2007 from Porto for an estimated €30 million. “We are delighted he has signed a new contract,” said boss Sir Alex Ferguson. Manchester United announced this afternoon that the Brazilian had penned a four-and-a-half-year extension after returning from a long-term injury problem. Anderson, 22, told manutd.com: “This is the best club to be at and I would like to thank everyone for the great support I have received over the years.